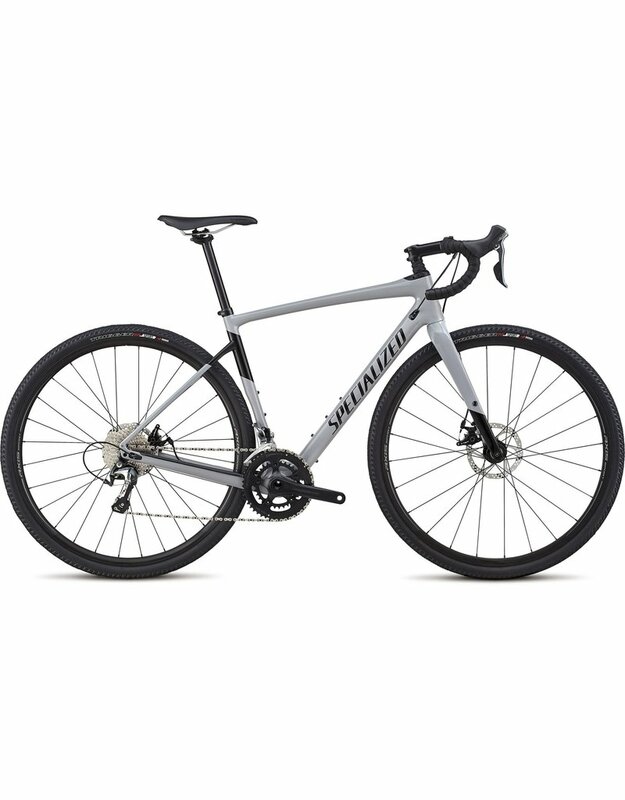 Specialized's whole 2018 Diverge range benefits from a completely redesigned frame and the Sport is no different. With your needs as ever the constant goal, they have sought to increase tyre clearance as requested. The new frame comfortably accommodates up to 700x42mm tyres, still leaving ample room for mud from the gnarliest trails. Taking cues from the Roubaix, they've made a FACT 9r frame that is super-light and built around their brand new Open Road Geometry. Think of it as a road version of trail bike geometry with a lower bottom bracket, slacked-out head tube, short chain stays and short wheelbase. The 2018 Diverge Sport is optimised for playful handling and predictable steering, amplifying fun on and off road. To give the Diverge Sport the edge, they've added a new version of their Future Shock technology, incorporating a progressive spring that makes the suspension better suited to the off-road scenarios where the Diverge is most at home. As for the component selection, they've picked out the best of reliable performance equipment. A Shimano Sora groupset, hassle-free mechanical disc brakes and a strong Axis Sport wheel set are featured on the carbon frame, which comes complete with mounts for up to three bottles, racks and fenders. The Diverge Sport is the perfect bike for adventures, long and short, whatever the weather.